You can look forward to a glorious wedding reception at The Devon Hotel. Our smart terrace and manicured lawns are the perfect place to sip champagne on arrival, our luxurious function rooms will be dressed to perfection, and our top quality cuisine is bound to impress all your guests! We have a range of wedding packages to suit your preferences, which include room hire in the price. Our wedding reception packages can cater for any taste and style and offer a scrumptious range of cuisine for your wedding breakfast. From a 3-course sit-down dinner to a lavish buffet, with vegan and vegetarian options, our food is sure to delight, and we are happy to tailor menus to any dietary requirements your guests may have. 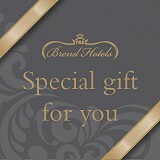 As part of the award-winning Brend Hotels Group, you can be assured of quality meat and produce, locally and sustainably sourced where possible, as well as the outstanding customer service that Brend Hotels are renowned for. Whether you are continuing the party after your wedding or having a post-wedding celebration after getting married abroad, we have it covered. We will help and advise with decorations and entertainment, as well as provide delicious food for the evening. See our Evening Buffet Menus in our wedding brochure downloads below. If you would like to raise the roof, we can book our resident DJ to play at your evening reception, who will provide everything you need to get the party started! You can also choose to provide your own music too, if you have a specific band or DJ in mind. Contact us today to discuss booking your wedding reception at the Devon Hotel, either by filling in the enquiry form below or by calling us on 01392 259268. Ask us a question and/or request a wedding brochure. Please specify whether you would like a digital version or to receive a brochure in the post (please provide a postal address).